Most of teas on today’s world market pass through many different hands before they actually reach a customer. Usually, people who grow tea sell it to tea dealers who then send it to the different vendors. Finally a tea shop owner or sales person, with only a vague idea about where and how that tea was made, will offer that tea to customers. As a result, people who love drinking tea have very limited information to build an image of tea they purchase. Our mission is to have open communication with tea lovers all over the world and to directly inform them about where we harvest tea leaves and how we make different sorts of tea. Our goal is to produce a high-quality, organic tea using a combination of traditional and modern technologies. We work closely with the local community where the tea is grown, supporting the local economy and educating tea growers about our new ways of making the tea we sell. In Phongsaly Province, in the far north of Laos, unique tea plantations of large old tea trees (Camellia sinensis) have been safely preserved. The climate here is perfect for growing tea — cold foggy winters and warm rainy summers. 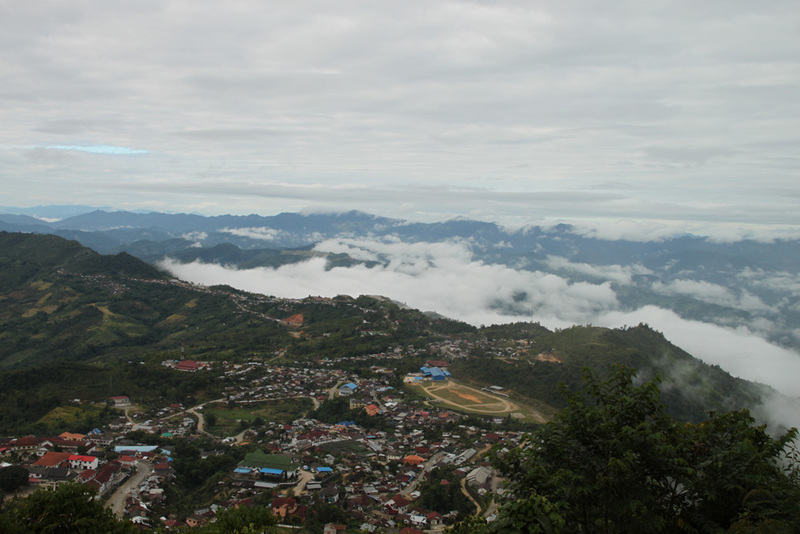 The capital of this Province, also called Phongsali, lies on the slopes of Mount Phu Fa (1625m above sea level). Getting here is quite difficult as the whole area is far from any paved road or airport. Most people use the local river for transportation. The trip usually takes three days — one way. Because of the isolation, people in Phongsali have a simple and natural life style. In this beautiful and ecologically clean environment we harvest and manufacture our teas. View on Phongsali. Our plant is a building with blue roof near the local stadium. All tea leaves are handpicked and harvested by the local people, from either very old tea gardens or wilderness where tea grows wild. At our factory we process the leaves to make different sorts of Red and Green tea. We use traditional Chinese manual techniques for Sheng tea. For Reds we use more advanced technology. Our factory in Phongsaly is operated by a friendly international team of dedicated and experienced people from Laos, China, Russia, Abkhazia, and Malaysia. More detailed descriptions can be found in our Tea Pilgrims Diary together with all our other stories about living and working in Laos.